So it’s officially winter, starting with the radio tunes, to the shopping frenzy and finishing with the Christmas lights from all over the city. Therefore today I will speak about winter fashion trends.After studying the winter collection, reading about what to and what not to wear here are few of the trends that I consider a must for this winter. 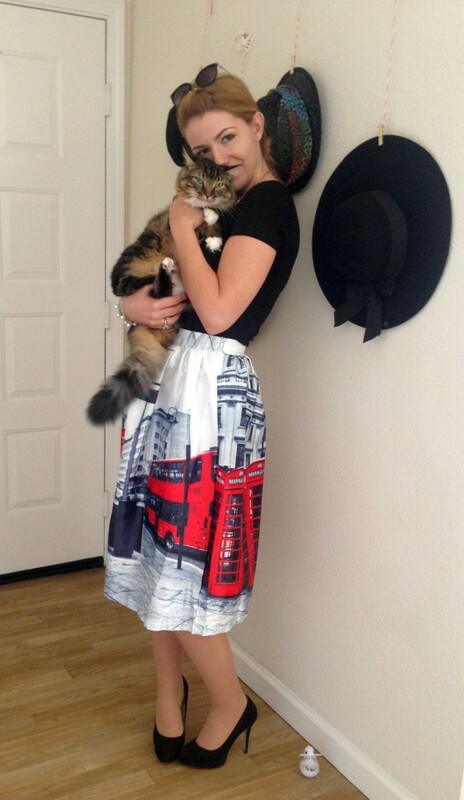 Lately I’ve developed an obsession for empire and A-line waistline skirts. 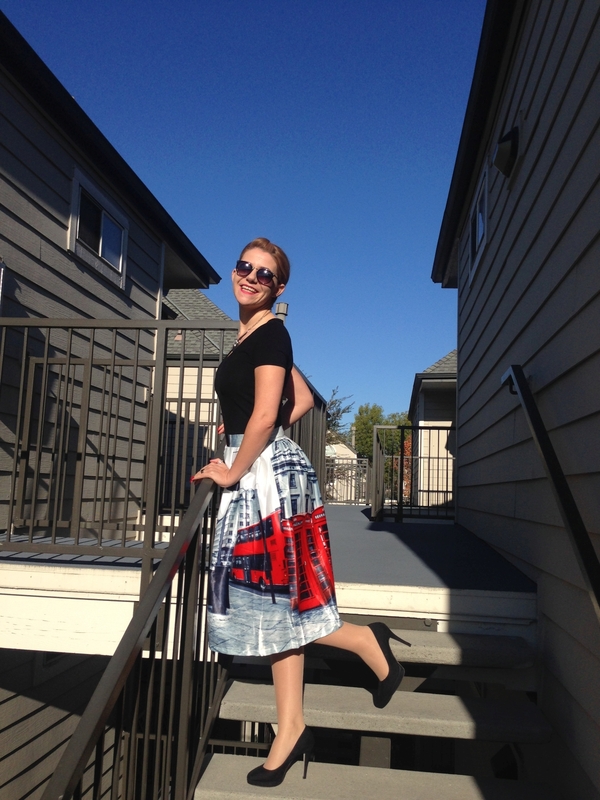 Last week after a short shopping session I found this London skirt. 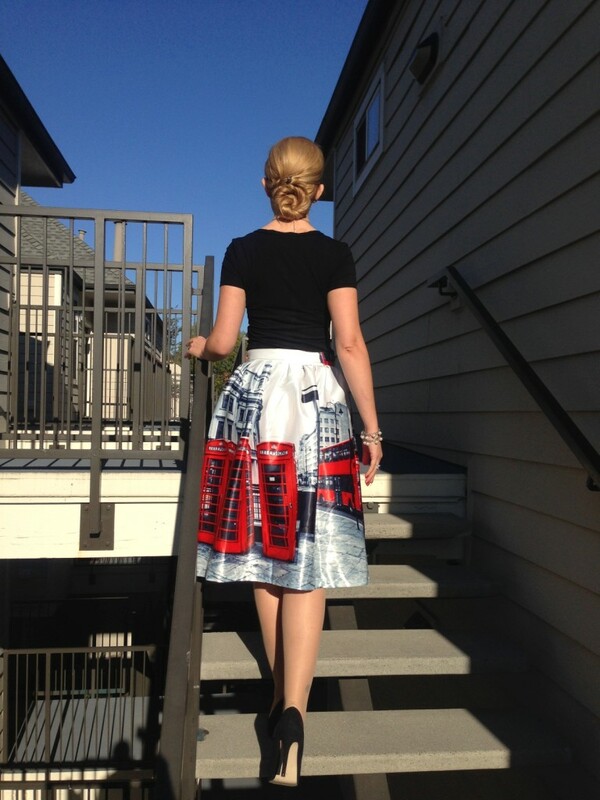 London skirt is not an official skirt type but what better name for a skirt with a London street scene print? 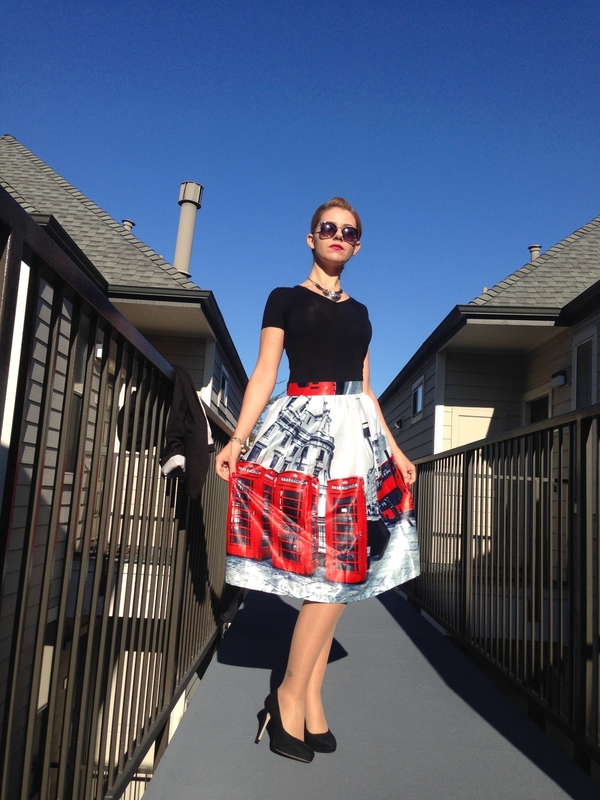 The pattern on this skirt outlines the London idea – the red telephone booths and double decker buses. The “fashionista” me loves the colors and the “geek” me loves the London’s telephone box (Tardis -Dr. Who). So am I the only one who wants a cup of tea now? Great outfit! 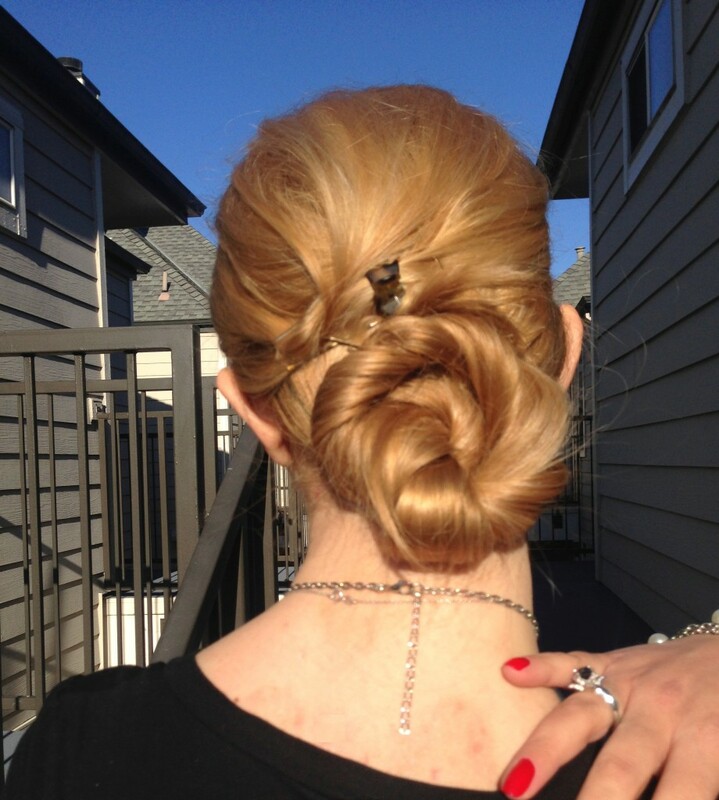 I absolutely love love love the necklace!! Super cute combo! I love that skirt so hard!